The“Five-Whys” are particularly useful in situations that involve human factors or interactions. They can be used outside of the Six Sigma context. 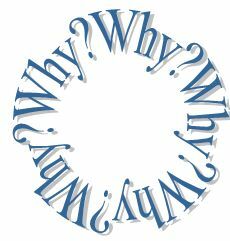 While the “Five-Whys” is a very useful tool, it does have some limitations. The brainstorming storming required to do “Five-Whys” is time-consuming when compared to other methods. This method can be particularly arduous for larger groups. This post is laced with excellent resources and I have provided a link to a template that is helpful to use with this technique.